Digital copies of 100 secret files relating to Subhas Chandra Bose were made public on his 119th birth anniversary. The files are declassified and put on digital display at the National Archives of India (NAI) in New Delhi. Additionally the NAI also plans to release digital copies of 25 declassified files on Bose in the public domain every month. The official website for the purpose Netaji Subhas Chandra Bose Papers was launched. ‘The Enemy of my Enemy is my Friend’ is an old proverb and especially true in case of war. That is why Italians, Germans and Japanese all joined hands against the British. So it became natural for Bose to execute a military solution to ally with the Japanese and Germans. As all the previous revolt and independence fights of India with the British were lost because of the lack of consistent military supplies, it was logical for Bose to have an equally powerful military partner to execute the plans for liberation of India while every other political party was busy begging the British for freedom. Bose had realized way back in 1930 following Wavell’s telegram that British were out to divide India into two to three nations. Poet Mohamed Iqbal was the first to formulate the concept of a separate State for Muslims as early as 1930. Needless to state, that this sentiment, in a sense, was strengthened by the Hindu extremists. In 1937, in an open session of the Hindu Mahasabha held at Ahmedabad, Savarkar, in his presidential address asserted: “India cannot be assumed today to be Unitarian and homogenous nation, but on the contrary there are two nations in the main – the Hindus and the Muslims.” (Vide writings Swatantrya Veer Savarkar, Vol. 6 page 296, Maharashtra Prantiya Hindu Mahasabha, Pune). Bose did not have a choice other than summarily to kick the British out of India. Probably both Bose and Gandhi had realized that the Muslim League and Hindu Mahasabha were the British creations or penetrated by the British intelligence assets. 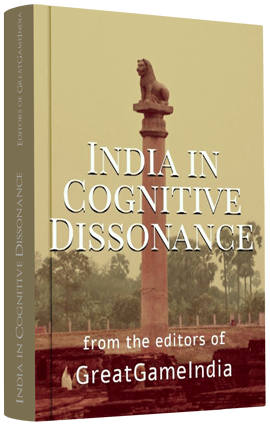 In this regard, it is logical to conclude that both Gandhi and Bose knew the facts and with the blessings of Gandhi only Bose moved to execute a military solution. As a subsequent event proof, that post Japanese surrendered, the British forced the two nation theory on Indians and only Gandhi opposed the Division of India (details regarding partition will be written in our upcoming book – Part(y)tion – The Saga of Treachery, Assassination and Fraudulent Ascension of Kingdoms). Is it not true that when murders in the name partition were going on, Nehru and Patel went to Missouri and requested to Mountbatten to take control of the situation and stop them? If it were Bose, he would have never even in his dreams asked Mountbatten to be the President of India, who planned and executed the killing of Gandhi, as instructed by Churchill. Even if Bose could not prevent the assassination of Gandhi, he would have conducted a thorough investigation in to his murder as he knew at least the difference between a pistol and revolver being a military man. Is it not true that the actual murder weapon of Gandhi was not at all produced to the court? All the three pistols including the one supposedly used by Godse were rejected by the coroner report as not the murder weapons that killed Gandhi. If at all Bose had become the first prime minister, he would have firmly dealt with the rapes and killings under the cover of partition and would have saved the entire Kashmir and Askai Chin regions. Neither Hindu Mahasabha nor the Muslim League wanted Bose to come back and lead India because it would have eliminated their partition politics. Everybody blamed Bose for taking help from foreign powers like Japan and Germany to liberate India and this factor was shown as a reason by the British, Congress, Muslim League and Hindu Mahasabha for not supporting him and his army. Is it not true that the same people who criticized Bose helped the foreign rulers and took help from them? At the same time didn’t Japan and Germany with which Bose aligned became the world’s largest economies, leaders in science and technology, have highest per capita income for their people in just thirty years? Why couldn’t we show such an achievement even after 66 years of Independence? By getting independence as alms in a beggars bowl, we are neither self reliant nor self sufficient and perpetually (in)dependent on Britain. Is it not true even to protect ourselves we have to beg for technology and arms either from America, Russia or Britain? Is it not true that except in space research, in every other field, we are borrowing technology from other countries? Is it not true even to build airports or capital cities, we have to hire foreign consultants? What a state India has fallen to, from being a beacon of knowledge and wisdom to the world! Is it not true that the British who divided us, is in the list of third rated countries either in terms of science and technology today? Is it not shameful for India to again go to this third rated country and borrow the concepts of liberalization and privatization for our endless ‘development’? Is it not shameful that we borrow all our technology and money from the same British companies which occupied us in the first place as East India Companies 200 years ago? Is it not true that the same East India Companies are now masquerading as MNC’s in technicolor and are operating out of different countries like Dubai, Singapore, South Africa and Australia? If Bose would have taken over India, along with his allies, the Indian development would have been planned on the same lines and India by this time would have become another successful nation. By failing to investigate the complete details of the death of Gandhi or Bose, the nation has shown to the world that we do not care what happens to India or Indians. Is it not true that till date, more than 3500 Indians – presidents, prime ministers, kings, scientists, trade union leaders, environmental activists, business leaders, chief ministers, central ministers, intelligence chiefs, sincere police officers – who are all killed either in plane crashes, heart attacks or unexplained suicides and the subsequent investigations to these murders are as sloppy, uncaring, unprofessional as it was done with Bose and Gandhi? Is it not true that even the children of these victims never bothered or cared to know the truth or was it that even if they wished the government never supported them? Is it not true that even today our premier investigative agencies like CBI does not have the technical expertise to investigate the helicopter or plane crashes and have to depend on the jokerish versions of DGCA? Is it not true that in India, in only few plane/helicopter crashes we forget to analyze the black boxes? Are not most of the black boxes belonging to the planes/helicopters of prematurely dead Indian leaders? In the state craft and in intelligence, we should be able to connect the dots to understand the whole truth. But, in case of Bose and Gandhi, is it not true that we are not able or not willing to connect the murder weapons to the persons involved, though they are openly giving all indications about their involvement? In this regard, it is highly appreciable that the family members of Bose, even after 66 years are relentlessly, fearlessly and tirelessly telling the unconcerned Indians that Bose was alive and was captured while the entire nation was busy playing/ watching cricket with the British and divided parts of the united India. It will be a great tribute for all those leaders killed in (in)dependent India, all those soldiers, men, women and children who died along with Bose for independent India and those millions of innocent men, women and children slaughtered like sheep and for the countless young girls and women who were raped and killed for (in)dependence, if now a thorough investigation will be done at least in the heroic struggle, escape, exile and death of Subhas Chandra Bose, the first President of Indian Republic and the first Commander in Chief of the Indian National Army. On this occasion when the Government is selectively declassifying files related to Bose we at GreatGameIndia are also releasing two in indepth research articles on Subhash Chandra Bose. Don’t forget to read these articles to understand the politics behind selective disclosing of ‪#‎NetajiFiles‬.